Acting Bishop in Stavanger, Anne Lise Ådnøy (no. 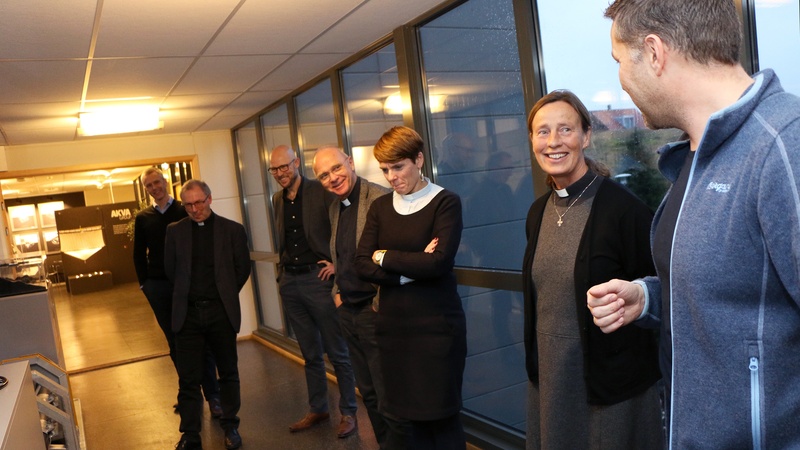 2 from right), got a tour of AKVA group's facilities at Bryne together with Advisor Cecilie Bakkene Pedersen, Head of the Church on Jæren, Kjell Børge Tjemsland, and Parish Priest in Time municipality, Stein Ødegård. AKVA group's Production Manager, Kjell-Einar Pollestad, Quality Manager Oddgeir Drøpping (back) and Operations Manager Ola Hausken.